Once your food is received into one of our 21 UK-wide warehouses, it will be stored, sorted and distributed to charities in the local area. We have a flexible operating model and can deal with your surplus as it arises, whether that is regular or in one-off spikes. We are able to deal with large volumes of short-dated food, whether chilled, frozen or ambient, because our army of volunteers help us break bulk volumes down into smaller, manageable amounts. Our warehouses enable us to absorb stock and hold large deliveries, meaning we don’t have to rush to use stock in order to free up space. This ability to manage stock means we can provide regular deliveries and a consistent supply of food to our charity members, while also being ready to support you when surpluses occur. The stock is packaged up with other categories of food from our food partners, to provide a mix of food to the charities we support, so they have all the component parts they need to cook nutritious meals for their beneficiaries. The food is delivered, with the help of our volunteer drivers, to hundreds of different charities each day. Because we work with such a broad range of charities, there is always demand for a wide variety of products to meet the needs of their beneficiaries, so your food is sure to find a good home. By receiving food from FareShare, these organisations are better able to provide nutritious meals for vulnerable people, alongside life-changing support services. The money our charity members save on their food bills can then be re-invested into essential support programmes to help their beneficiaries in the long term – such as social and befriending services, leisure activities and benefits advice. * Source: NatCen Social Research, Feb 2016. 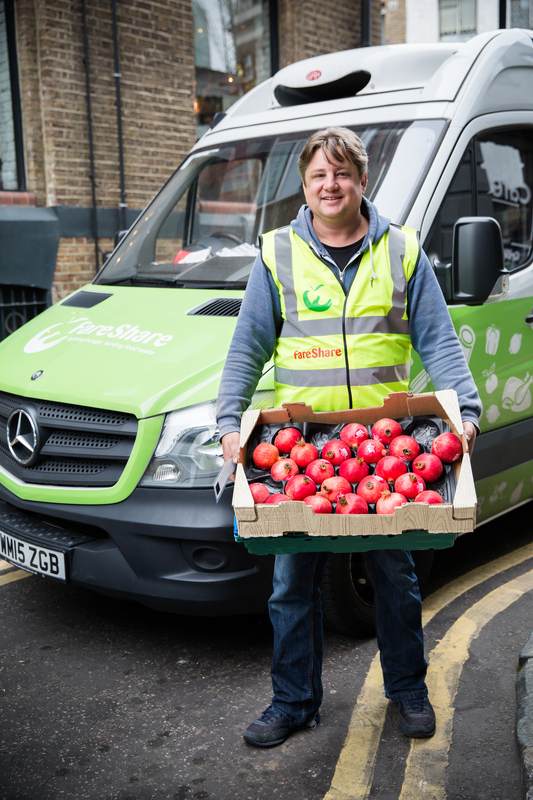 Online survey of 568 charities supported by FareShare carried out 17 Apr – 18 May 2015. The report is available here. If you’re a company with surplus food contact our Food Team to find out more.